Hello, I'm Iva ! My retreats specialize in wellness and cultural tourism by offering exclusive vacation experiences for the mind, body and soul. 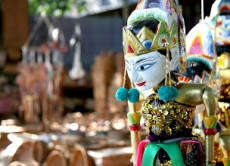 We feature everything from 7 day retreat programs in Bali, and one day cultural tours. Our programs aim to take you back to nature, teach you holistic techniques and assist you to discover the beautiful world of art and culture on Bali. We work with those who know all the secrets...and will share them with you!